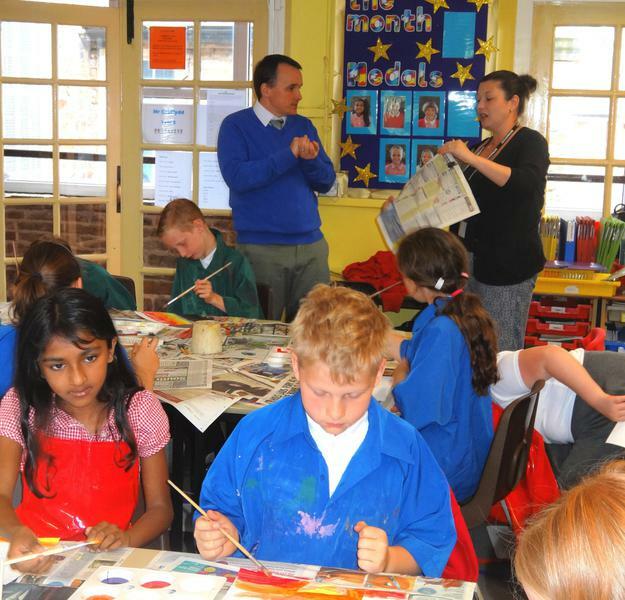 The Governors believe that Highfield Hall is an inclusive school. We seek to ensure that all children are given the opportunity to achieve and succeed. We are focused on supporting the Head Teacher and his team to remove barriers to learning and enable our children to develop their interests and skills, expand their horizons, and become good citizens. The Full Governing Body held four meetings in 2017-18, dealing with a wide range of issues concerning the governance and performance of the school. In the course of 2017-18 two parent governors completed their terms of service, and two new parent governors were elected. Another parent was co-opted to fill a vacancy in that category. All members of the Governing Body sit on one or more committees. 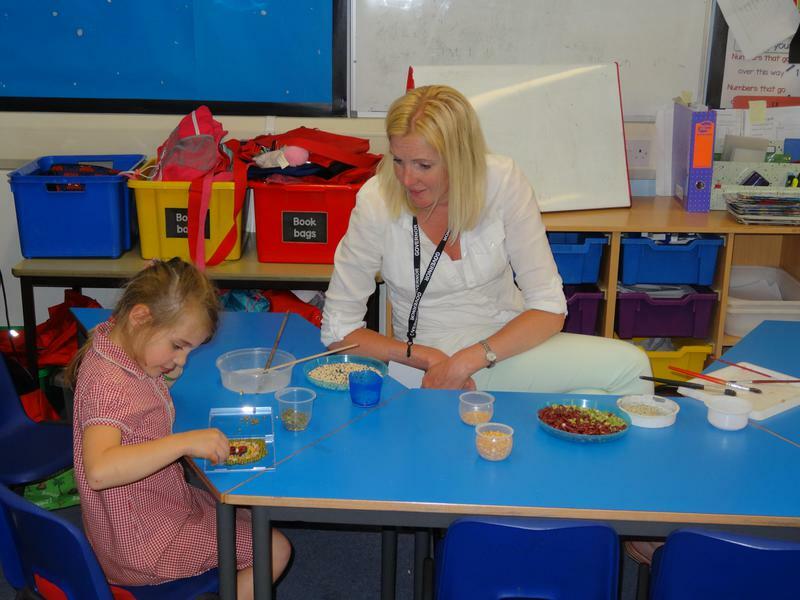 In addition, certain governors are appointed to act as a link with those teachers who have certain responsibilities in the school, such as special educational needs. 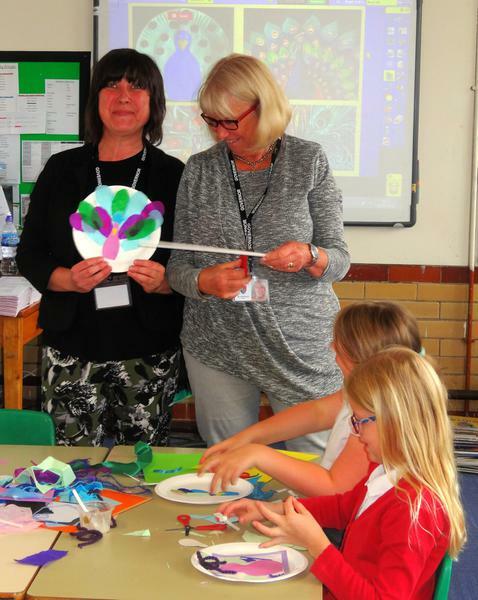 A governor is also appointed to take special responsibility for safeguarding provision for the children. This committee reviewed the child safeguarding audit to identify areas where further work is required. The file of documents and other material which staff and governors are required to be familiar with in relation to safeguarding has been reviewed and updated. It also reviewed the staffing structure of our growing school and decided to appoint a new Senior Teacher, Laura Webster, to lead the Lower Key Stage 2 team. In the coming year the committee will be overseeing changes to our SEND provision following the appointment of Laura Webster and Sally Briddon as the new SENDCo’s. Progress and attainment data for reading, writing and maths is brought to this committee by the Head Teacher and analysed by the committee. The Committee looked at a variety of different groupings within the school, including year groups, children categorised as disadvantaged, children qualifying for special education needs support, more able children, and boys/girls. The data analysed includes performance in national tests (including relative performance against national results) and data recorded internally within the school. Governors are all familiar with Ofsted performance measurements which enable them to benchmark the school’s performance against other similar schools and against national performance data. They are also all familiar with the OfSTED data for the school which again shows the school's performance in the national context. 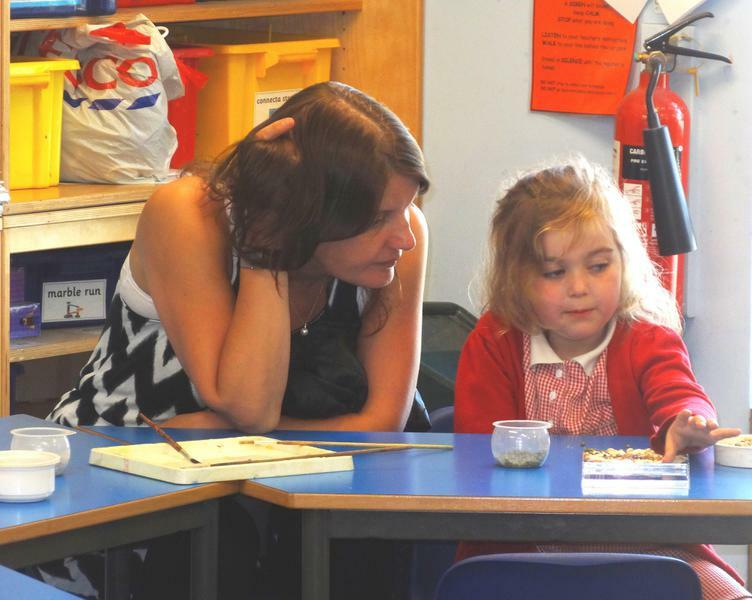 Performance in Reception, Year 1, Year 2 and Year 6 in nationally standardised assessments was in the main good or better with particular improvements in maths. 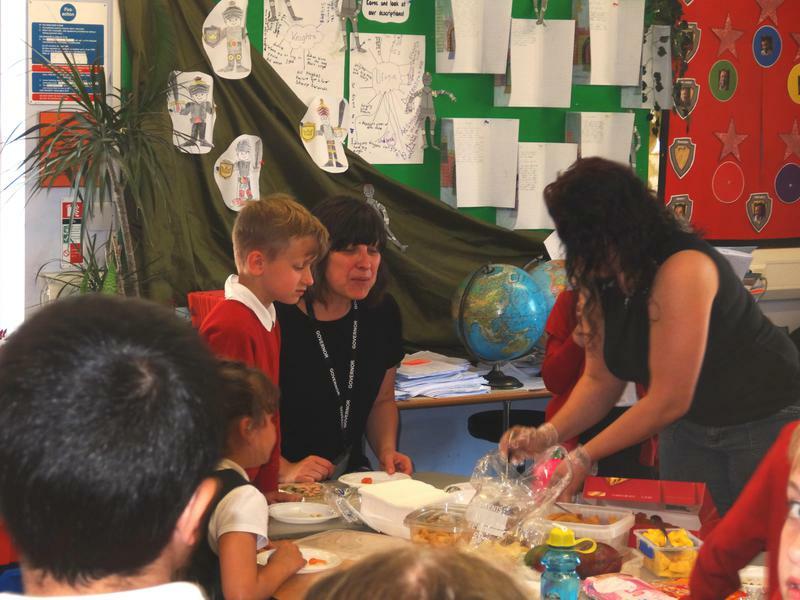 ​In the coming year the committee will be supporting the work in Years 3 and 4 as the school prepares children for the new Y4 tables check which will be introduced in 2020. This committee consider financial issues and ensures that the financial resources provided to the school are well spent. It also focuses on the best application of specific grants. In its work of managing the school’s financial resources the committee uses benchmarks to compare us to similar schools to ensure that we are broadly conforming to common standards. It also checks the school’s financial procedures against county-wide schools financial value standards to ensure compliance with those standards. This ensures that the school is applying best practice in these areas and acts as a safeguard against misappropriation or misuse of funds. The committee is also responsible for maintaining the school’s IT equipment within the scope of the available financial resources. In the course of the year new interactive whiteboards were purchased for five classrooms. The new whiteboards provide better visibility within the classroom, better graphics, and can be used in a wide variety of ways in conjunction with other IT equipment making it faster and easier for the class teacher to access information, so that the classroom learning experience is improved. ​​This committee is also responsible for Health and Safety and ensures that the school fully complies with all Local Authority Guidelines. In addition to this, they carry out an annual check on different aspects of Health and Safety. In the coming year this committee will review the way pupil premium and sports premium money is used in the school, ensuring the most effective outcomes for our children. 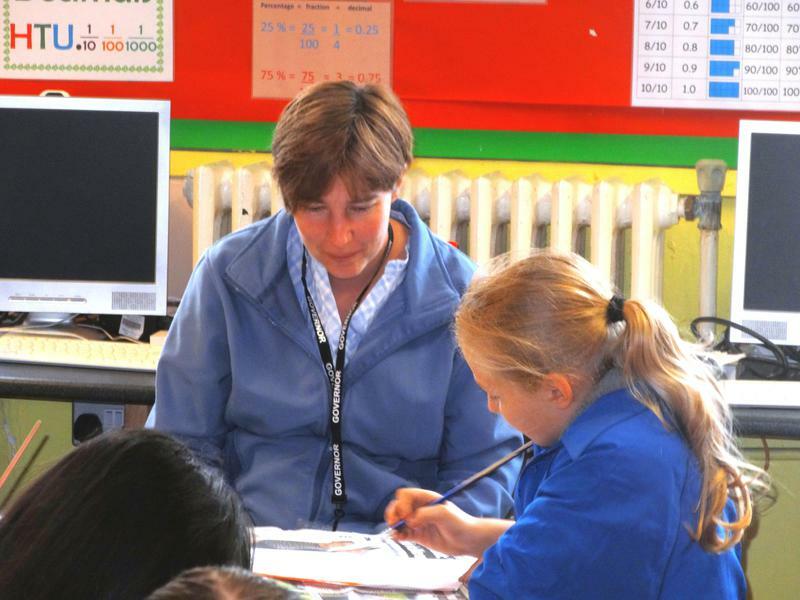 The Head Teacher is responsible for the day-to-day leadership and management of the school. An essential part of the Governors' work is to assess how the Head Teacher is performing these functions, and by this means to monitor the standard of teaching and practice in the school. A special committee of the Governing Body has responsibility for assessing the Head Teacher's performance against targets set the previous year, they are supported by an advisor from the local authority. The governors look closely at the performance of the Head Teacher, have discussions about areas of strength and development and set new targets against which the Head Teacher’s performance will be evaluated. The impact of this is that the governors understand, through their assessment of the leadership and performance of the Head Teacher, the areas of strength and development needs within the school as a whole, including children's progress, curriculum coverage, and the learning environment. In addition, the data presented enables them to develop an accurate picture of the school. The governors are by these means better informed so as to enable them to challenge and support the Head Teacher. ​Every year the committees review the school’s policies on matters falling within their remit. Some policies are revisited annually and others fall into a three year cycle of monitoring and review. In some cases changes are made to these policies by the governors to reflect best current practice and experience within the school. The governors and the Head Teacher sometimes have the benefit of an external review of the school’s performance. Our last OfSTED inspection was in 2016, when we were judged ‘good’. In 2017/18 our assessment judgments were moderated by the Local Authority in Reception and Key Stage 1 and found to be robust and accurate. ​The governors work co-operatively with the Head Teacher to identify priorities for school improvement and in preparing, and then monitoring, the School Improvement Plan (S.I.P.). The S.I.P. sets aims for the forthcoming year, it is monitored and reviewed termly at each meeting of the Full Governing Body. ​Over the course of the year individual governors have taken the opportunity to visit the school informally to listen to children read; attend events such as plays and sports days; join in class activities and help on school trips. We also have an annual Governor’s Day when most of the governors come in to visit the classrooms; join the children for lunch; meet with the School Council and talk to the children about their school. Every year the Governors set aside one day when as many of them as possible come in to school to have a look at the work we are doing- and join in the fun... this year they came in on India Day when the children learnt about arts and crafts from India, mastered some Bollywood dance moves and sampled some tasty traditional food. Nigel Down is a co-opted Governor, appointed by the Governing Body. He has been a Governor for 6 years and his term of office runs out in 2022. He is currently the Chair of Governors and the Chair of the Pupil Welfare and Personnel Committee. Nigel is also the lead governor for safeguarding and child protection. He is not a Governor at any other school. Nigel has worked for Local Authority youth services for 30 years and has been a locality manager for the youth service in Nottinghamshire. He has two children, one left Highfield Hall in 2015 and the other in 2018. Attendance over the last year: Governing Body meetings 4/5, committee meetings 3/4. Janis Breeze is a co-opted governor. Janis is the Vice Chair of the Governing Body. She originally joined the governors as a parent governor (elected by parents in 2013) and her term of office ends in 2022. Janis is currently on Pupil Welfare and Personnel Committee and was a member of the Governor Action Plan Group that worked on School Improvement related to our most last OfSTED Inspection. Janis is married and has two children attending Highfield Hall; she has worked in customer service for 10 years. Attendance over the last year: Governing Body meetings 5/5, committee meetings 4/4. My name is Catriona Carless and I am a co-opted governor. I have been a governor for 4 years and my term of office ends in 2020. I am on the Pupil Welfare and Personnel Committee and a member of the School Improvement Group. I am not a governor at any other school. I moved to Chesterfield from the Wirral in 1998 to train as a midwife and I continues to work in the NHS for 11 years. I am married and have 3 daughters who all attend Highfield Hall Primary School. Anne Kitchen is a parent governor. She was elected in 2018 and her term of office ends in 2022. She is not a governor at any other school. Anne has a daughter who left Highfield Hall in July 2018 to go to secondary school. Anne has worked within Government and Local Government for 30 years and is currently employed as the Benefits Advisor for Chesterfield Borough Council. Rebecca Coles is a co-opted governor. She is appointed by the governing body. She has been a governor since 2013 and her term of office runs out in 2022. Rebecca is on the School Improvement Group committee and has voting rights on this committee. She is not a governor at any other school. 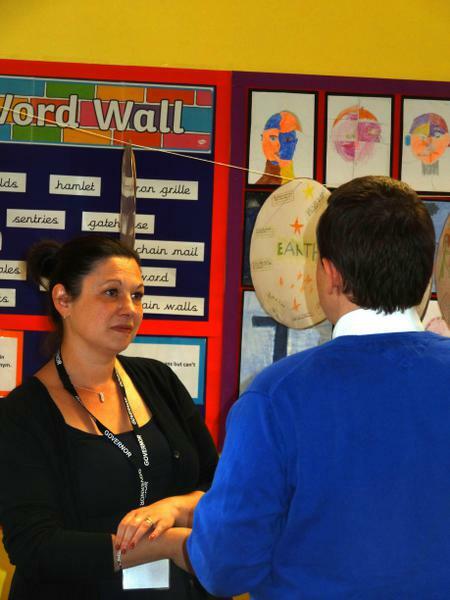 Rebecca has worked as a teacher at Highfield Hall since she qualified in 2009. Rebecca is married and has two young sons. Attendance over the last year: Governing Body meetings 4/5, committee meetings 1/2. Rebecca Aspinall is a Local Authority governor. She has been a governor for six years and her term of office ends in 2022. Rebecca is a member of the Finance Committee and the Head Teachers Performance Group. She is not a governor at any other school. Rebecca has 2 daughters that currently attend Highfield Hall. She has worked within the Financial Services sector for over 18 years. Attendance over the last year: Governing Body meetings 5/5, committee meetings 3/3. Lisa Greenwood is a co-opted governor. She has been a governor for 3 years and her term of office ends in 2022. Lisa is a member of the Admissions Committee, the Head Teachers Performance Group, and the Pupil Welfare and Personnel committees, she is also the Chair of the Finance and General Purposes Committee. She is also the named anti bullying governor. She is not a governor at any other school. Lisa has 2 daughters that currently attend Highfield Hall. Lisa has worked in the restaurant and licensed trade for 23 years. Attendance over the last year: Governing Body meetings 4/5, committee meetings 6/7. Dianne McCollum is a co-opted Governor. She has been a Governor here for 14 years and this term of office runs out in 2022. Dianne is Chair of the Pupil Discipline Committee and the Governor School Improvement Group, she also a member of the Pupil Welfare & Personnel Committee and the Headteacher Performance Group. She is also the lead governor for looked after children, children with special educational needs or disabilities and vulnerable groups. She is not a governor at any other school. She worked as a teacher for 33 years in schools in Dronfield and Chesterfield, ending her career as Deputy Headteacher of Highfield Hall. She retired in 2009. To continue and extend her own development Dianne undertook several secondments during her career. She worked for the local authority as a trainer of teachers on many occasions. She also worked with staff in schools experiencing problems and she really enjoyed supporting newly qualified teachers and newly appointed deputy heads. 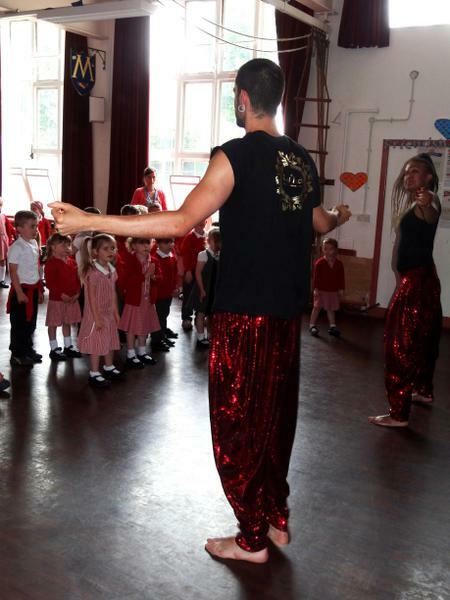 Dianne also worked as an Associate Primary Tutor for Sheffield Hallam University, on a part time basis, for 3 years delivering lectures and working with tutorial groups. Dianne’s four grandchildren attend Highfield Hall Primary School, so she has a strong commitment to the school’s continuing success. Attendance over the last year: Governing Body meetings 5/5, committee meetings 2/4. Caroline Riley has been a governor since 2013. She is on the Finance Committee. She has been qualified as a teacher for 9 years, most of that time has been spent at Highfield Hall. Previous to that she was a manager at Royal Mail working to keep the network of vehicles moving. She is not a governor at any other school. She is married. Her term of office runs out in 2022. My name is Rob Sykes and I am a Parent Elected Governor. My term of office ends in 2022, and this is my only governor post. My daughter has recently joined Mrs Jones class (Year 1) and I am pleased to have been elected last year to be involved in running of the school for the next 4 years. I have a strong background in Health & Safety, leading teams and prioritising work loads, all skills I hope to bring to my role as a governor. I want to represent the thoughts and views of the parents at our school and therefore encourage you to bring any issues or concerns to my attention.